GA went on a day trip to the only working British ochre mines – Clearwell Caves were one of the first producers of ochres, in the late Neolithic to early Bronze-age and are now one of the last. Well worth a visit, particularly to purchase their range of ochre colours – yellow, orange, brown, red and purple and to marvel at the tenacity of miners throughout the ages. Ochre is one of the earliest pigments used by humans, derived from naturally tinted clay containing mineral oxides, it is a hydrated iron (III) oxide. Ochre was recently identified as being used by Neaderthals as early as about 250,000 years ago. Ochre can be used as body paint and makeup, as a preservative and as a medicinal component. 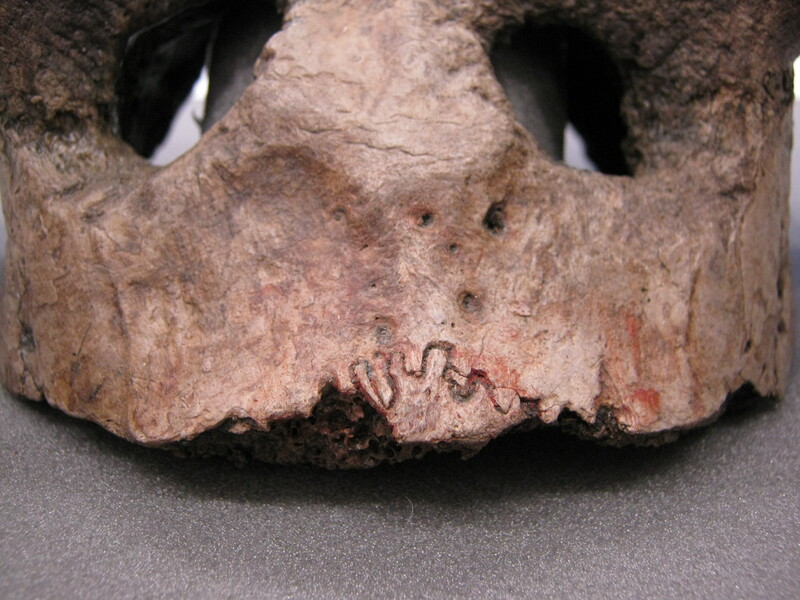 It is often found in covering human burials – giving skeletal remains a reddish colour, Examples of this include the Red ‘Lady’ of Paviland and later burials seen by GA recently at the site of Catalhoyuk in Turkey (check out Scotts Blog). 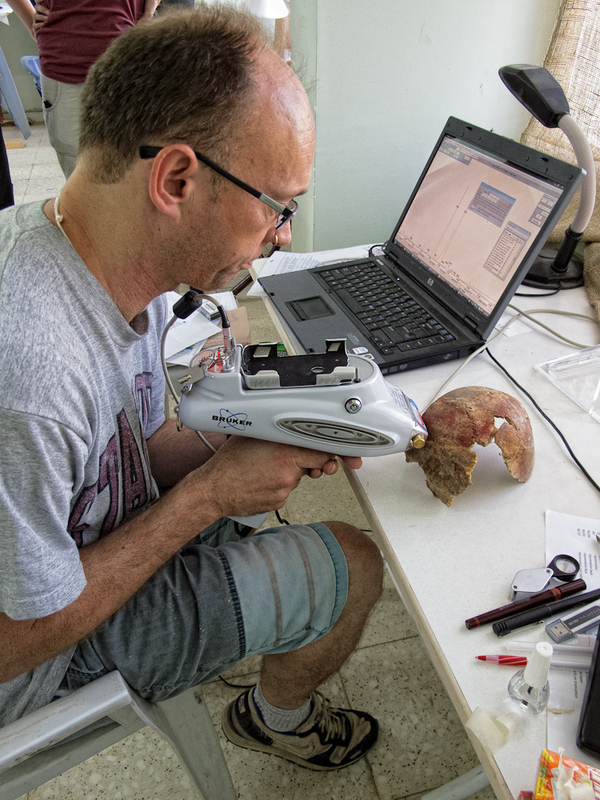 Dr. Tristan Carter analyses the ochre on one of the painted Catalhoyuk crania using a portable x-ray florescence analyser. Elsewhere there is a paper that compares Catalhouyuk and Clearwell ochres – the pure ochres at Clearwell have a much higher iron concentration than the diluted samples at Catal. Ochre has been interpreted as symbolising blood and red is considered a sacred colour in many culture around the world. In addition to coloring objects, ochre makes a compound adhesive and when mixed with other ingredients, such as plant gum and animal fat and can be used to attached stone spear or arrowheads to hafts. When examining the Star Carr antler head dresses recently for our Shamanic Street Preachers project, Jacqui Mulville noticed ochre on the rear of one of the skulls kept in Cambridge Museum of Archaeology and Anthropology. This suggests these too were coloured. « Shamans out on the airwaves.